Peregrine Leasing have been at the forefront of asset based lending to the professions for over 25 years. In addition our entire team are fully FCA compliant and all have a minimum of 15 years experience in the financial industry. When you come to us for finance you can be sure that you are in the safe, knowledgeable hands of one of our experts. We are immensely proud of our team and it's their personal and professional manner that has seen us build lasting relationships with many of our customers. 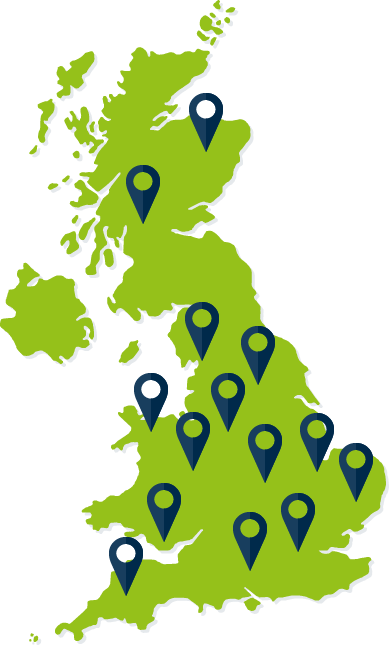 Covering the whole of the UK, our team has very strong links with the business communities it serves and understands the challenges your industry faces. Adam lives in rural North Yorkshire with his family where he enjoys country life. Peregrine Leasing was founded to serve the professions providing a one stop shop for all their asset finance needs. Peregrine Leasing is a sister company to Peregrine Asset Finance which is now the market leader in the rural sector. We pride ourselves on our modern approach to meeting customer requirements through a responsive, professional service that is supported by industry leading technology. Use the sections below to find out more about your rights and how we work with your information. We may monitor and/or record our telephone conversations with you. When considering your application we will search records held by the Peregrine Group and your records at credit reference agencies (CRAs) who will give us shared credit information, fraud prevention information, and public information (such as details of County Court Judgments, bankruptcies and information from the electoral register). The information CRAs give us about you may already be linked to information about someone else you have had a joint account or similar financial association with, including members of the same household. By submitting an application you confirm that their finances will not affect our decision. We will check this and may turn down the application if we find it is inaccurate. You must be sure that you are entitled to reveal information about your business partners, including your company directors (if you have any) and authorise us to use their information in the same way as your information, as described below. We will check your details with fraud prevention agencies (FPAs). If you give us false or inaccurate information and we suspect or identify fraud we will record this and may also pass this information to FPAs and other organisations involved in crime and fraud prevention. We may also share your information (and information about any joint applicant) with CRAs. This information remains on the CRAs' files for 6 years after the account is closed (whether settled by you or upon default). Whether or not your application proceeds, the CRAs will add to your record details of our searches and your application. This record (but not our name) will be seen by other organisations when you apply for credit in the future. A large number of applications within a short period of time could affect your ability to obtain credit. We will also add to your record with the CRAs details of your business' agreement with us, the payments your business makes under it, and any default or failure to keep to its terms. 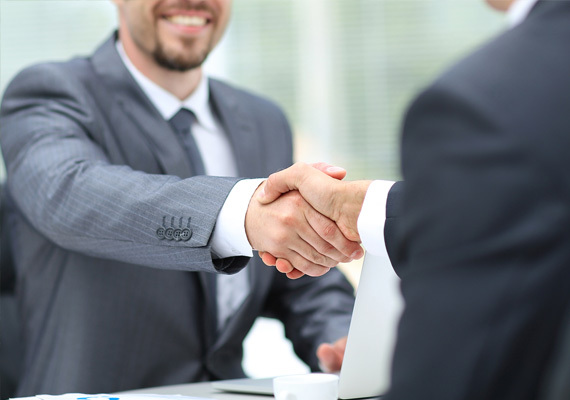 An 'association' between joint applicants (between you and your business partner, for example) will be created at CRAs. This will link your financial records, each of which will be taken into account in all future applications by either or both of you. This will continue until one of you successfully applies to the CRAs to have the association removed. Peregrine Leasing is a trading style of Peregrine Asset Finance Ltd who are regulated by the Financial Conduct Authority. No, we do not charge fees for our broker related services. We are a commission based organisation which means that we may receive a payment(s) or other benefits from finance providers should you decide to enter into an agreement with us. These fees may be variable or pre-set dependent on the product and the volume that we place with the chosen supplier. Peregrine Leasing is a trading style of Peregrine Asset Finance Ltd who is authorised and regulated by the Financial Conduct Authority. Our FCA reference number is FRN649227. You can verify this on the Financial Conduct Authority's Register by visiting the Financial Conduct Authority's website: http://www.fca.org.uk/register/ or by contacting them on 0300 500 8082. It is the aim of Peregrine Leasing to provide a very high standard of service to every client. It is important to us that all complaints are resolved as quickly as possible and to the complete satisfaction of our clients. Initial response letter - Promptly: by the next working day unless there are exceptional circumstances. Final response - By end of the eighth week after the receipt of the complaint in all cases, but sooner whenever possible. If, exceptionally, a full response is not possible by this time Peregrine Leasing will send out a holding letter explaining why it has not been able to issue a decision within the above time frame and when it expects to be able to provide a decision. Peregrine Leasing will co-operate fully with the Ombudsman in resolving any complaints made against it and agrees to be bound by any awards made by the Ombudsman. The Financial Conduct Authority places a responsibility on all regulated firms to make sure that the firm cannot be used to further financial crime including bribery that is also subject to the Bribery Act 2010. The Board of Directors of Peregrine is committed to doing business ethically, with the highest standards of integrity, and expects its employees, self-employed ‘advisers’ or ‘consultants’ and business partners to work to these standards. Among the most significant laws and regulations that govern Peregrine's operations are those that prohibit the payment or receipt of money, or gifts and hospitality of value, in order to receive an undue commercial benefit or personal advantage. Such behaviour, notwithstanding the requirements of The Bribery Act 2010 is a clear violation of the Peregrine's code of business conduct. In these cases a bribe is a payment (or other advantage) given to a person with the intention that they will act in an improper way. For example, to encourage someone to award a contract to one firm over another or to overlook matters such as poor credit history when giving advice. It is also an offence to give, offer, promise, ask for, agree to receive or receive a payment as a reward for improper acts that have already happened. It doesn’t even matter if the person who carried out the improper act understood that it was improper at the time. Finally, it would also be an offence to act in an improper way if you thought you might receive anything, even if it hasn’t been offered, and you haven’t asked. We have a zero tolerance approach to bribery. Peregrine forbids its employees, partners and introducers from making or accepting any bribe or kickback intended to secure favoured treatment for or from Peregrine or any customer or supplier of Peregrine outside what would be considered a normal and appropriate expression of business courtesy. This statement and Peregrine's Anti-Bribery Policy were developed at the direction of Peregrine's Board of Directors to provide clear guidance to all employees, partners and introducers to ensure a consistent approach to business practices throughout the company. Every Peregrine employee, partner and introducer is responsible for carefully reading and understanding this statement and the Anti-Bribery Policy and strictly complying with every aspect of their requirements. The Firm is committed to supporting regulators and law enforcement officers in the prevention of bribery and other financial crime. Money laundering includes all forms of handling or possessing criminal property, including possessing the proceeds of one’s own crime and facilitating any handling or transfer of criminal property for another person including the proceeds derived from any act of fraud, bribery or corruption. ‘Criminal property’ includes money or money’s worth, securities, tangible and intangible property; including the receipt, handling and transfer of funds derived from criminality. For the purpose of this Guidance, money laundering also includes activities relating to terrorist financing, including handling or possessing funds to be used for terrorist purposes, as well as proceeds from terrorism. Peregrine is not prepared to allow its employees and its business facilities to be used by money launderers in the disposal of the proceeds of crime and is committed to compliance with all applicable money-laundering and related legislation and regulation. It will further require that all employees, partners and introducers of Peregrine adhere to this policy and comply with all procedures introduced in connection with this policy. At Peregrine Leasing we are committed to giving you excellent customer service and treating you fairly. We are fully committed to providing the highest standards of client service and advice and we never forget that you have a choice of supplier and are grateful that you've chosen us. As a part of this, Peregrine Leasing follows the relevant aspects of the Financial Conduct Authority's six guiding principles on how to engage with our customers. These are known as the 'Treating Customers Fairly' principles and govern how we communicate with customers, the level of service we provide and the fairness of our products and procedures.